The Sixteenth Amendment, which gave the American people the affliction of confiscatory income taxes, is 100 years old this year. It was ratified on February 3, 1913. One hundred years of affliction is a long time. The time has come for tax reform…. No, the time has come for a tax revolution. The Sixteenth Amendment was proposed in 1909 and adopted in 1913. The proposal of a constitutional amendment to give Congress the power to impose an income tax began as a scheme of political maneuvering that went horribly awry. In fact, the proponents, House and Senate Republicans who were in a battle for a new tariff bill, proposed the amendment as a political trick and expected the proposal to be killed by the States during the ratification phase, thereby making a popular and political statement that the American people in general do not want an income tax. But the plan backfired. A brief overview of the history of the income tax, including the Sixteenth Amendment in the United States is provided below. The Founding Fathers had rejected income taxes, as well as any other direct taxes, unless they were apportioned to each state according to population. At the time of our founding, wealth was measured in terms of property rather than income. Property was the goal of freedom. One exercised his inalienable rights to “pursue” happiness and obtain property. Our founders didn’t talk much in terms of “income.” They rejected the income tax entirely, but when they spoke of taxes they recognized the need for uniformity and equal protection to all citizens. “All duties, imposts and excises shall be uniform throughout the United States.” “Direct Taxes shall be apportioned among the several States.” “No direct tax shall be laid, unless in proportion to a census.” This is what the US Constitution reads. Then, the 14th Amendment promised “equal protection of the laws” to all citizens. The principle behind the progressive income tax – the more you earn, the larger the percentage of tax you must pay – would have been appalling to the founders. They recognized that, in James Madison’s words, “the spirit of party and faction” would prevail if Congress could tax one group of citizens and confer the benefits on another group. “A faction is a number of citizens, whether amounting to a majority or a minority of the whole, who are united and actuated by some common impulse of passion, or of interest, adversed to the rights of other citizens, or to the permanent and aggregate interests of the community. The latent causes of faction are thus sown in the nature of man; and we see them everywhere brought into different degrees of activity, according to the different circumstances of civil society. A zeal for different opinions concerning religion, concerning government, and many other points, as well of speculation as of practice; an attachment to different leaders ambitiously contending for pre-eminence and power; or to persons of other descriptions whose fortunes have been interesting to the human passions, have, in turn, divided mankind into parties, inflamed them with mutual animosity, and rendered them much more disposed to vex and oppress each other than to co-operate for their common good. So strong is this propensity of mankind to fall into mutual animosities, that where no substantial occasion presents itself, the most frivolous and fanciful distinctions have been sufficient to kindle their unfriendly passions and excite their most violent conflicts. But the most common and durable source of factions has been the various and unequal distribution of property. Those who hold and those who are without property have ever formed distinct interests in society. Those who are creditors, and those who are debtors, fall under a like discrimination. A landed interest, a manufacturing interest, a mercantile interest, a moneyed interest, with many lesser interests, grow up of necessity in civilized nations, and divide them into different classes, actuated by different sentiments and views. The regulation of these various and interfering interests forms the principal task of modern legislation…. So, our founders took the view that taxation of wealth by the government should be equal and apportioned. Before the Civil War, the government received most of it revenue through tariffs (that is, taxing goods as they came into the ports). The South, being an agricultural community, relied heavily on imports and therefore generated most of the tariff revenue for the government (at least 70%). But then came the war, which meant ports were blockaded, ships were sunk, and in general, there was little money to spend on things that were not considered essential, and hence, there was almost no revenue from tariffs. Besides, the southern states had seceded and formed a new county and so their tariff revenue did not go to the federal government. So during the Civil War, Congress decided to try an income tax. It devised a really clever plan to get people to pay. It made the tax returns public. Essentially what would happen was this: If your neighbor saw you driving around on a brand new plow, he’d inquire through the public record how much he reported on his income tax. In order to avoid scrutiny and accusations, the rich would pay their required taxes. And in fact, the income tax fell almost exclusively on the rich. The financial requirements of the Civil War prompted the first American income tax in 1861. On August 5, Lincoln imposed the first federal income tax by signing the Revenue Act of 1861. Strapped for cash with which to pursue the Civil War, Lincoln and Congress came up with a tax scheme to impose a 3% tax on annual incomes exceeding $800. The Revenue Act’s language was broadly written to define income as gain “derived from any kind of property, or from any professional trade, employment, or vocation carried on in the United States or elsewhere or from any source whatever.” (Interestingly, according to the US Treasury Department, the comparable minimum taxable income in 2003, after adjustments for inflation, would have been approximately $16,000). By 1862, however, the United States government realized that the war would not end quickly, and that revenue gained by this income tax would not be sufficient. So the tax was repealed and replaced by another income tax, one of a progressive nature, in the Revenue Act of 1862. Thus, it was the Revenue Act of 1862 that introduced the first progressive income tax in America. For individuals whose annual incomes were less than $600, no tax was collected. For individuals whose annual incomes were greater than $600 and less than $10,000, a percentage of 3% of total income was demanded in tax. For individuals whose annual incomes were greater than $10,000, a percentage of 5% of total income was demanded in tax. After the war when the need for federal revenues decreased, Congress, in the Revenue Act of 1870, let the tax law expire in 1873. However, one of the challenges to the validity of this tax finally reached the Supreme Court in 1880. The challenge was brought by a taxpayer. In Springer v. United States, the taxpayer contended that the income tax on his professional earnings and personal property income violated the “direct tax” requirement of the Constitution; that is, that is needed to be apportioned among the states. The Supreme Court concluded that the income tax was not a “direct tax” but rather an “excise tax,” and hence did not need to be apportioned. The tax was upheld. [Excise taxes are taxes on the on the sale, or production for sale, of specific goods within a country. Excises are distinguished from customs duties, which are taxes on importation. Typical examples of excise duties are taxes on gasoline and other fuels, and taxes on tobacco and alcohol (sometimes referred to as sin tax]. Although the Revenue Act of 1862 was allowed to expire, government had already gotten a taste of the revenue that could be generated by taxing the income of American citizens, It wouldn’t be long before it looked once again to American purses. During the years of Reconstruction and rebuilding the nation, the growing industrial and financial markets of the eastern US generally prospered. But the farmers of the south and west suffered from low prices for their farm products, while they were forced to pay high prices for manufactured goods. Throughout the 1870′s and 1880′s, farmers formed various political organizations such as the People’s (Populist) Party and the National Farmers’ Alliance) and advocated for a graduated income tax to relieve them of their tax burden. And so, in 1894, a Democratic-led Congress passed the Wilson-Gorman tariff (a high tariff bill) which imposed the first peacetime income tax. The rate was 2% on income over $4000, which meant fewer than 10% of households would pay any income tax. The purpose of the tax was to make up for revenue that would be lost by tariff reductions. This was a controversial provision at the time and it was almost immediately struck down by the Supreme Court in 1895, in a case calledPollock v. Farmers Loan & Trust Company. Once again, a taxpayer challenged the legality of the income tax. In Pollock, a taxpayer sued the corporation in which he owned stock, contending that they should never have paid the income tax because it was unconstitutional. In this case, the tax was paid on income from land, and Mr. Pollock argued that since a tax on real estate is a direct tax, then a tax on the income from such property must be a direct tax as well. Since the Constitution prohibited a “direct tax” unless certain conditions are met, Pollock argued that the income tax should be declared unconstitutional. (The “direct tax” argument had also been used by Mr. Springer in 1880, but because the income tax had been expired for eight years at that point, it is believed that the Court just wasn’t interested in looking closely at the wording in the Constitution and making distinctions between the different types of taxes). The Court in Pollock held that the income tax was a direct tax and as such, it had to be apportioned among the states according to their populations, as the Constitution sets forth in Article I, Section 2, clause 3 and in Article I, Section 9, clause 4. Since the tax at issue was not apportioned, it was struck down as unconstitutional. The provisions at issue in the Pollock (and Springer) cases are as follows: Article I, Section 2, clause 3: “Representatives and direct Taxes shall be apportioned among the several States which may be included within this Union, according to their respective Numbers, which shall be determined by adding to the whole Number of free Persons, including those bound to Service for a Term of Years, and excluding Indians not taxed, three fifths of all other Persons.” Article I, Section 8, clause 1 provides that “all duties, imposts, and excises shall be uniform throughout the United States.” Article I, Section 9, clause 4 provides that “no capitation, or other direct tax shall be laid, unless in proportion to a census or enumeration herein before to be taken.” Section 2 of the Constitution deals with the House of Representatives specifically. Section 8 gives to Congress certain enumerated powers. And Section 9 lists what is prohibited to Congress. How does apportionment work, as per Article I, Section 2, clause 3? How would an “apportioned” income tax work? If an income tax is subject to apportionment, a state with one-tenth the national population, for example, has to bear one-tenth the aggregate tax liability, regardless of the state’s financial condition. Suppose the populations of Iowa and Maine were equal, but Iowa’s per capita income were twice Maine’s. The rates for an apportioned income tax would have to be twice as high in Maine, the poorer state, as in Iowa. How is direct tax supposed to based on a census, as per Article I, Section 9, clause 4? If the government desired to raise $10 million and New York had 20% of the total U.S. population at that time, then New York would be required to raise $2 million. If New York had 1 million residents, each resident would owe $2 in taxes. Obviously, a tax based on income could not achieve such proportionality, since incomes differed across individuals. By the turn of the century, the progressive movement was entrenched in politics. It was the era of social unrest. The movement began after the Reconstruction era (the 1890′s) in order to modernize society to the new industrial age. The movement was based on the assumption that the old principles of our founding were no longer adequate and so it sought to reform society and the role of government by addressing certain economic, political, and cultural issues. The common view of the Progressive movement, aside from the dismantling of traditional institutions and founding principles, was that government would need to grow and be actively involved in these reforms at every level. Furthermore, it held that the existing constitutional system was too constrained and outdated and must be transformed into a dynamic, evolving instrument to effect social change. Another theme was that the focus of government on the rights of the individual would have to be surrendered to seek the best for society as a whole. In certain aspects, such as basic rights and protections for factory workers, the movement helped government serve society well. But in many other aspects, such as the movement’s inherent hostility and resentment of the wealthy and its need to increase taxation to seek social justice, government veered sharply from its constitutional course. At the same time, as public sentiment was changing, so did the complexion of the Supreme Court. The idea of using a tax to “soak the rich” began to take root among liberals in both major parties. Several times the Democrats introduced bills to provide a tax on higher incomes but each time the conservative branch of the Republican party killed it in the Senate. The Democrats used this as evidence that the Republicans were the “party of the rich” and should be thrown out of power. “It is important to this people to grapple with the problems connected with the amassing of enormous fortunes, and the use of those fortunes, both corporate and individual, in business. We should discriminate in the sharpest way between fortunes well-won and fortunes ill-won; between those gained as an incident to performing great services to the community as a whole, and those gained in evil fashion by keeping just within the limits of mere law-honesty. In 1909, progressives in Congress were talking once again about enacting an income tax. They were going to attempt, once again, to attach a provision for an income tax to a tariff bill. President William Howard Taft had called Congress into a special session in 1909, shortly after his inauguration, to discuss the issue. He wanted Congress to address tariff reform. House of Representatives immediately passed a tariff bill sponsored by Sereno E. Payne (R-NY), the House Majority Leader, which called for reduced tariffs, but including an inheritance tax to make up for lost revenue. However, the Senate quickly substituted a bill, written by Senator Nelson W. Aldrich (R-RI), Senate Majority Leader and chairman of the Senate Finance Committee, which called for fewer reductions and more increases in tariffs. Aldrich was a long-time advocate of protective tariffs. His answer was to increase the amount of duty items. The problem, however, was that there was an impending budget deficit that had to be addressed. A protracted debate ensued, and progressive Republicans maneuvered to add an income tax amendment to the Aldrich bill. In April, Senators Joseph W. Bailey, a populist Democrat from Texas, and Albert B. Cummins, a progressive Republican from Iowa, introduced separate versions of an income tax provision. A compromise version was reached between the two – which became known as the Bailey-Cummins amendment – for inclusion in the Senate bill. In response to this amendment, Senator Aldrich defiantly declared: “There will be no income tax, no inheritance tax, no stamp tax, and no corporation tax!” It soon became evident, however, that the opposition, comprised of Democrats and progressive Republicans from the Midwest, had enough votes to force the issue in the Senate and thereby enact an income tax. Seeking to avoid that humiliation, Aldrich met with President Taft. In a message to a joint session of Congress on June 16, Taft first reiterated his support for tariff reform but warned of an impending budget deficit. On June 16, in a joint message to Congress, Taft In order to fend off Congress’ proposed initiative for an income tax but yet provide for a mechanism to raise the revenue necessary (while making tariff reduction possible! ), Taft recommended that Congress enact a tax of 2% on the income of a corporation “for the privilege of carrying on or doing business as a corporation in the United States.” (Taft predicted – accurately, as it would later turn out – that the Supreme Court would view the corporate tax as an “excise” tax and not a “direct tax”). In his message, President Taft also endorsed the idea for a constitutional amendment that would grant Congress authority to impose a progressive income tax. The showdown by Democrats and Progressives regarding the Bailey amendment was perhaps intentionally orchestrated. The theory was that after the regular Republicans rejected the bill, the Democrats could then point a finger at them and claim, for political purposes, that Republicans rejected the Bailey bill to protect their corrupt wealthy corporate friends. They would use the rejection as proof of such an alignment between Republicans and the wealthy. The conservative Republicans knew what the Democrats were up to and they launched a counter move. Facing an embarrassing loss on the income tax issue, regular Republicans in the Senate decided to make a political maneuver, capitalizing on the endorsement of a constitutional amendment made by President Taft. They proposed a constitutional amendment that would impose an income tax on the rich. The theory behind their plan was that when the States refused to ratify the amendment, the Republicans could use that failure as proof that the people, through their State legislatures, were against the idea of a new income tax. They could then use that argument to defeat the Bailey Bill, for how could Congress approve an income tax against the rich after the people, through their state legislatures, had spoken on the issue. Conservative Republicans were sure they did their homework. They were most certain that it could and would be defeated when it went to the states for ratification. They calculated that there were more than enough conservative states to defeat the 3/4 majority that were required under Article V to approve an amendment. Senator Norris Brown (R-NE) was the first to propose an income-tax amendment to the Constitution, on June 17, 1909, but it was rejected. On June 28, Senator Aldrich submitted a proposal (Senate Joint Resolution 40). It authorized Congress to “lay and collect taxes on incomes, from whatever source derived, without apportionment among the several states and without regard to any census or enumeration.” It passed the Senate by a vote of 77 to 0, with 15 members abstaining. On July 12, the proposal passed in the house, by a vote of 318 to 14. The resolution proposing the 16th Amendment therefore passed the 61st Congress and was submitted to the state legislatures. Not all states were initially in favor of an amendment. The gamble that the conservative Republicans were taking at first seemed to pay off. Many states realized that the imposition of a federal income tax would mean the rise of a federal revenue bureaucracy that extended from Washington, D.C., throughout the country and into the personal and business transactions of every American and every business. Private transactions would no longer be private; government would be able to monitor what everyone was doing. “It means that the state must give up a legitimate and long established source of revenue and yield it to the Federal government. It means that the state actually invited the Federal government to invade its territory, to oust its jurisdiction and to establish Federal dominion within the innermost citadel of reserved rights of the Commonwealth. This amendment will do what even the 14th and 15th Amendments did not do — it will extend the Federal power so as to reach the citizens in the ordinary business of life. A hand from Washington will be stretched out and placed upon every man’s business; the eye of a Federal inspector will be in every man’s counting house. The law will of necessity have inquisitorial features, it will provide penalties. It will create a complicated machinery. Under it, businessmen will be hauled into courts distant from their homes. Heavy fines, imposed by distant and unfamiliar tribunals, will constantly menace the taxpayer. An army of Federal inspectors, spies and detectives will descend upon the state. They will compel men of business to show their books and disclose the secrets of their affairs. They will dictate forms of bookkeeping. They will require statements and affidavits. On the one hand the inspector can blackmail the taxpayer and on the other, he can profit by selling his secret to his competitor. Much to everyone’s surprise, the amendment was ratified by one state legislature after another, and on February 25, 1913, with the certification by Secretary of State Philander C. Knox (Woodrow Wilson had just taken office), the Sixteenth amendment took effect. “Soaking the Rich” was clearly a popular policy. “Shifting the growing burden of federal finance to the wealthy” make a lot of sense to those who, at the time, were sure they weren’t in the income bracket that would be targeted. The end run of the Republican leadership did indeed backfire. As James Madison had feared, the seeds of class warfare were sown in the strategy of different rates for different incomes. [As a side note, the bill hurt Taft greatly, and in fact, would have disastrous consequences for the Republican Party in general. Lowering the tariff caused a big split in the party by pitting producers (manufacturers and farmers) against merchants and consumers. Failure to address tax reform was another sore spot. The debate split the Republican Party into Progressives and Old Guards and led the split party to lose the 1910 congressional election. Two years later, with the 1912 presidential election, the tariff issue continued to split votes amongst Republicans in most states, resulting in Democratic candidate Woodrow Wilson being elected. That was the election where Teddy Roosevelt returned to politics to “save the Republican party from Taft” by running for president under the new political party he created, the Progressive Party – commonly called the “Bull Moose.” He had entered the race too late and Taft has already secured the GOP nomination]. It turns out that Sixteenth Amendment was Congress’ way to get around the Pollock decision (much the way the 14th Amendment got around the Dred Scott decision) and enact an income tax, progressive in nature, without having to worry about whether the tax is classified as “direct” or not and whether it needs to be apportioned among the states on the basis of population. It should be noted that there is credible evidence to suggest that the 16th Amendment was not properly and legally ratified pursuant to the requirements set out in Article V of the US Constitution (the “Amendment Process”). See the Appendix for a summary of this evidence, as researched by Bill Benson. Neither traditional Democrats nor regular Republicans were willing to use income taxation to redistribute wealth. Such a radical policy was repudiated by all but a handful of Progressives and Populists on the fringe. Senator Henry Cabot Lodge (R-MA) warned that “it will be an evil day for us when we enter on confiscation of property under the guise of taxation.” The income tax of 1913 was intended to raise revenue to finance tariff reduction and not to level incomes or to destroy the wealthy as a class. According to those representatives who looked at the income tax objectively, they believed it was only fair that the wealthy pay the bulk of the income tax because they benefited most from the high tariffs. In other words, they felt it was only “equitable” that they should contribute their “fair share” of the cost of government via the federal income tax. of $3,000 in 1913. As a result, less than 1% of the population (or 2% of households) was subject to income taxation the first year of the new tax regime. With regard to the progressive aspect of the tax, there was a surtax of 1% imposed on income above $20,000 and 6% on incomes above $500,000. Thus, the maximum marginal rate reached 7% on income above $500,000. In 1913, there were very few taxpayers in that upper bracket. The tax provided for only a handful of exemptions, exclusions, and deductions, and the same tax rate applied to both earned and unearned income. All that would change over the next 100 years. Even more dramatically, it would require only a few years for the federal income tax to become the chief source of income for the government, far outdistancing tariff revenues. The age of big government had officially begun. An income tax of 1% on individual income over $3,000 (or $4,000 for married couples), up to incomes of $20,000. A progressive surtax ranging from 1% to 6%, depending on income. Income taxes to be collected at the source, meaning that some kinds of income would be taxed before it reached the taxpayer, as with the modern system of tax withholding. The Bureau of Internal Revenue established a Personal Income Tax Division to collect the new tax. 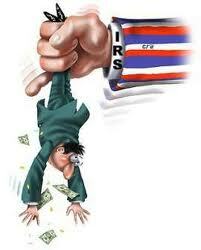 (Recall that the IRS has its roots in the Lincoln administration. The position of Commissioner of Internal Revenue, within the Treasury Department, was created by the Revenue Act of 1862). In the beginning, hardly anyone had to file a tax return because the tax did not apply to the vast majority of America’s work-a-day citizens. As mentioned above, when the tax was first imposed, only 1% of the population was subject to a federal income tax. In 1939, twenty-six years after the Sixteenth Amendment was adopted, only 5% of the population, counting both taxpayers and their dependents, was required to file returns. In 1994, more than 80% of the population were required to file and pay. Today, it is 50% of the population. Today, it is still a popular idea to tax the wealthy so that the less fortunate can live easier and more comfortably with their more modest salaries and without having any income tax liability. For example, 82% of Democrats polled in 2011 supported raising taxes on millionaires (compared to 54% of Republicans). In 2008, 58% of Americans (mind you, 48-49% weren’t required to pay income taxes) thought it was a good idea to raise taxes for the wealthy (by wealthy, they meant those who have an income in excess of $250,000) in order to pay for “new government programs and tax cuts for those making less money,” as well as to help lower the nation’s deficit. As our Founders would frown upon that mindset if they were here today, they would surely comment: Those who don’t respect the rights of others don’t deserve it for themselves. American economist Thomas Sowell has written quite a lot about this mindset of allowing the government to arbitrarily decide what is considered “poverty” and what is considered “wealth.” When that happens, of course, classes of people are treated differently. Different sets of standards and rules apply, which is not what “Equal Protection of Laws” is all about. Even worse, Sowell writes, is allowing the people themselves to decide when others should be taxed. That is exactly what Founders like James Madison labored to avoid. He referred to a democracy as “mob rule.” He, as well as the other Founders, understood that individual rights could never be secure in a pure democracy. A republic – a constitutional republic – would be the system of choice. A republic recognizes the unalienable rights of individuals (which no majority rule can violate) while democracies are only concerned with the wants or needs of a majority group. Social justice is easier to pursue when there is mob rule or when the rule of law disintegrates. In a constitutional republic as ours, lawmaking is a slow, deliberate process, requiring approval (and surviving scrutiny) from all three branches of government, in order that cool heads prevail and the fairest laws are produced. In a democracy, laws are passed by majority polls or voter referendums. 50% plus 1 vote (ie, the majority) is enough to take away anything away from the 50% minus 1 vote (ie, the minority). For purposes of this article, a perfect example would be this: If 51% of the people don’t pay taxes and want to keep up that lifestyle or even want more from those 49% that pay taxes, they can easily vote a tax increase. Income is no longer a protected property right in the United States, thanks to the Sixteenth Amendment, so in effect, taxation is subject to mob rule. And to the conscience of every elected official in Washington DC. History records that democracies always self-destruct when the non-productive majority realizes that it can vote itself handouts from the productive minority by electing the candidate promising the most benefits from the public treasury. These candidates, in order to remain popular, must adopt ever-increasing tax and spend policies to satisfy the ever-increasing desires of the majority. As taxes increase, the incentive to produce decreases, causing many of the once productive to drop out and join the non-productive. When there are no longer enough producers to fund the legitimate functions of government and the socialist programs, the democracy inevitably collapses due to economic depression and chaos, and almost always, it is followed by some sort of dictatorship or socialist/communist regime. Prior to its decline (around 100-44 BC), Roman emperors couldn’t meet the demands of its poor They taxed heavily to provide “bread and circuses” (free grain, gladiator games) to the poor and the disillusioned – those who no longer valued historic Roman civic virtues. This system of state bribery worked for awhile; it placated them so that they wouldn’t riot and cause problems for the Emperor. “For the People who once upon a time took an interest in military command, high civil office, the legions, and the state of the republic, they now restrain themselves and anxiously hope for just two things: bread and circuses.” But in the end, the policies disillusioned too many Romans and the empire simply wasn’t worth fighting for any longer. So, did the income tax actually “soak the rich” as the slogan described? The wealthy, especially the super-wealthy, had anticipated the adoption of a progressive federal income tax and had created a clever device to protect their riches. It was called a “charitable foundation.” The idea was to co-sign the ownership of wealth, including stocks and securities, to a foundation and then get Congress and the state legislatures to declare all such charitable institutions exempt from taxes. By setting up boards which were under the control of these wealthy benefactors they could escape the tax and still maintain control over the disposition of their fabulous fortunes. In fact, long before the federal income tax was in place, multimillionaires such as John D. Rockefeller, J.P. Morgan, and Andrew Carnegie had their foundations set up and operating. What they needed to do was make certain that the tax bill passed by Congress contained a provision specifically exempting their treasure houses from taxation. And sure enough, the Underwood bill included such a provision (Section 2, paragraph G). The bill borrowed language from the 1894 and the 1909 tariff bills, both of which provided exemptions for charitable organization. Under these statutes, tax exemption was granted to “any corporation or association organized and operated exclusively for religious, charitable, or educational purposes…” In other words, these organizations were to be considered “non-profits.” Under the 1913 bill, charitable (non-profit) organizations could earn tax-free income from both mission-related activities and commercial business activities that were unrelated to the purpose for which they were exempt, as long as they used the net profits for exempt purposes. (That would change with the Revenue Act of 1950; In 1950, Congress established the “unrelated business income tax,” or UBIT, which would be imposed on any activity that was not “regularly carried on” and “substantially related” to the organization’s charitable purpose). Section 2, paragraph G provides: “Provided, however, that nothing in this section shall apply…to any corporation or association organized and operated exclusively for religious, charitable, scientific or educational purposes.” This magical provision locked up the riches of the super wealthy for all of their foundations were specifically designed to qualify under one or more of these categories. Within a few years, President Woodrow Wilson would hijack the income tax to pay for WWI. He would tax the very wealth at 67% and then up to 77%. On April 2, 1917, he stood before a joint session of Congress, requesting a declaration of war. This, of course, led to an even greater need for additional revenue. The debate over taxing versus borrowing to finance the war raged over several months across the country. Taxes would have to be increased. But what taxes should be imposed, and by how much? Once again the question was raised as to whether to broaden the tax base or raise the rates on the wealthiest. The War Revenue Act of 1917 imposed a 2% tax on individual incomes over $1,000 (or $2,000 for married couples), featured graduated surtaxes reaching as high as 67% (63% on incomes over $1 million and 67% on incomes over $2 million), and increased a variety of excises and duties (including on automobiles). It also added an additional tax of 4% to the existing corporate income tax. Revenue grew exponentially. In the years prior to 1917, the Bureau of Internal Revenue (BIR) took in an average of about $281 million. In the years following the War Revenue Act of 1917, the average was $2.78 billion…. ten times the amount of tax revenue! The Agency grew dramatically; it had to. The number of income tax returns that were filed after the Act of 1917 increased by over 1000%. In his famous “Politics is Adjourned” address to a joint session of Congress on May 27, 1918, President Wilson made a strong pitch for more revenues. He urged: “Our financial program must sustain it to the utmost. Our financial program must no more be left in doubt or suffered to lag more than our ordnance program or our ship program, or our munitions program or our program for making millions of men ready.” In defense of the new taxes requested on war profits, he said the American people were not just willing to send their men to possible death overseas, but “to bear any burden or undergo any sacrifice” to win the war including taxes. “We need not be afraid to tax them, if we lay taxes justly.” If the American people know that the burden is being distributed equally, he went on, “they will carry it cheerfully and with a sort of solemn pride.” Wilson made it sound almost as if Americans were actually seeking a tax increase in order to feel the joy of sacrificing their hard earned money for a righteous cause. And so, the Revenue Act of 1918 (which actually passed in early 1919) increased taxes further. Corporations were given an exemption of $2,000, but rates were raised to 12% on net taxable income and the surcharge on the highest incomes was increased to 77%. The income tax now occupied a central place in the federal revenue system. In 1916, income taxes had been providing 16% of federal revenue, but from 1917 to 1920, that percentage ranged as high as 58%. The tax was now a pillar of federal finance. Still, however, it remained a narrow levy on the American people. In 1920, only 5.5 million returns showed any tax due. By 1919, there was a clear and broad consensus that held that steep wartime tax rates were unsustainable. Even Wilson himself finally agreed, and in his State of the Union that year, he suggested the possibility of reducing taxes. A series of tax cuts (called Mellon tax cuts, for Andrew Mellon, the Treasury Secretary at the time) began in 1921, as legislators from both parties set about revising the wartime tax system. In the end, the tax cuts in the Revenue Act of 1921 were generally a disappointment for everyone and actually included a hike in the corporate tax rate. Herbert Hoover and Franklin D. Roosevelt, using the excuses of depression and war, permanently enlarged the income tax. Under Hoover, the top rate was hiked from 24 to 63%. Under Roosevelt, the top rate was again raised – first to 79% and later to 90%. [If he had his way, in 1941, a 99.5% marginal tax rate of 99.5% would have been imposed on all incomes over $100,000. That was his proposal. After that proposal failed, Roosevelt issued an executive order to tax all income over $25,000 at the astonishing rate of 100%. Congress later repealed the order, but still allowed top incomes to be taxed at a marginal rate of 90%]. It was one thing to impose taxes but another to collect them. The collection process was greatly facilitated in 1943 by a device created by President Franklin D. Roosevelt to pay the costs of WWII. It was the tax withholding provision, also called “withholding from wages and salaries.” In other words, income tax would be collected at the source – collected at the payroll window before it was paid to the taxpayer. Economists point out that this device, more than any other single factor, shifted the tax from its original design as a tax on the wealthy to a tax on the masses – mostly the middle class. In 1946, Beardsley Ruml, then the chairman of the Federal Reserve Bank of New York, wrote an article in American Affairs in which he explained the real function of the income tax. The article was entitled “Taxes for Revenue Are Obsolete.” Ruml theorized that with the Federal Reserve, an institution and mechanism were in place to provide the federal government with a constant and virtually unlimited flow of dollars. That, of course, is inflationary, so Ruml believed that income taxes served the purpose of dampening inflation by lowering demand, a measure achieved by reducing the purchasing power of the masses by taking money out of their paychecks. “Congress, in implementing the Sixteenth Amendment, went beyond merely enacting an income tax law and repealed Article IV of the Bill of Rights, by empowering the tax collector to do the very things from which that article says we were to be secure. It opened up our homes, our papers and our effects to the prying eyes of government agents and set the stage for searches of our books and vaults and for inquiries into our private affairs whenever the tax men might decide, even though there might not be any justification beyond mere cynical suspicion. Taxation today is clearly used as a scheme of wealth distribution. In his bid for the presidency in 2008 and again in 2012, Obama talked about increasing taxes on the wealthy. His favorite line was: “We can restore the American dream where everyone gets a fair shot, everyone does their fair share, and everyone plays by the same set of rules.” He was referring to some sort of “advantage” that those who work hard and earn more money have over those who don’t have much. Even Joe Biden, in 2009, urged the wealthy to pay more in taxes, to “do their patriotic duty.” And as we see, what President Obama wasn’t willing to do outright (raise taxes on the wealthy) because of political backlash, he did deviously. Obamacare contains a whole host of new taxes, only a few of which apply to middle-class Americans. Under what notion of fairness is it OK for people to be relieved in their economic “discomfort” by using the funds that taxpayers have to work 1/3 of the year for and then surrender to the government? Under what notion of fairness is it OK for people can be relieved in their decisions not to become educated, seek training, or look for work by simply living off the finances that taxpayers have to work 1/3 of the year for and then surrender to the government? Under what notion of fairness is it OK for people to have lots of children without adequate ability to provide for them while the funds to raise them come from taxpayers who take money from their own families (affecting their own decisions to have more children) and who have to work 1/3 of the year for and then surrender to the government? President Obama should not surrender the American Dream of one segment of society to serve the dreams of another segment. FDR became the first president to practice on a large scale what James Madison called “the spirit of party and faction” and what Justice Stephen Field called the “war of the poor against the rich.” With a steeply progressive income tax in place, Roosevelt used the federal treasury to reward, among others, farmers (who were paid not to plant crops), silver miners (who had the price of their product artificially inflated), and southerners in the vote-rich Tennessee Valley (with dams and cheap electricity). In the 1936 presidential election, Senator Hiram Johnson (D-CA), a Roosevelt supporter, watched in amazement as the President mobilized “the different agencies of government” to “dole out subsidies for votes.” In other words, he was using government funding to ultimately serve his re-election. Johnson calculated: “He started out with probably 8 million votes bought. The other side will have to buy their votes one by one, and they cannot hope to match his money.” In that campaign, Roosevelt defeated the Republican Alf Landon by an electoral vote of 523–8. The flip side of rewarding supporters was investigating political opponents. It started with an investigation of Senator Huey Long of Louisiana, who had threatened to run for president against Roosevelt. Next came an audit of William Randolph Hearst, whose newspaper empire strongly opposed Roosevelt for president in 1936. Moses Annenberg, publisher of the Philadelphia Inquirer, criticized the New Deal and vehemently opposed Roosevelt’s re-election campaign in 1936 and ‘coincidently,’ became a target of a full-scale audit the following year (which was followed by a prison term). But perhaps no one was harassed more aggressively than Andrew Mellon, a powerful Republican and former Treasury Secretary. Remember it was Andrew Mellon who fought so hard to reduce the federal income tax rate, both for individuals and corporations. The Roosevelt administration tasked the IRS and an army of tax inspectors and prosecutors to scrutinize Mellon’s financial records, especially to find out whether deductions for his vast philanthropic activities amounted to tax evasion. Even after IRS agents found nothing irregular, the Justice Department pursued the investigation. Historians have found no documents explaining the Roosevelt administration’s focus on Mellon, but a comment Roosevelt made about him in 1926 may offer a clue: Roosevelt dubbed him “the master mind among the malefactors of great wealth. A federal grand jury declined to indict Mellon for tax fraud in 1934. But the IRS was still pursuing claims against Mellon for at least $3 million in back taxes. Mellon’s “tax trial” before the Board of Tax Appeals in Pittsburgh and Washington lasted 14 months. At a private meeting with Roosevelt during the trial in 1936, Mellon offered to build the National Gallery and endow it with his own collection. Roosevelt accepted the offer, but instructed federal prosecutors to make “no change whatsoever” in the government’s position on the Mellon tax case (according to Mellon biographer David Cannadine). Mellon died the next year, and the suits, including any against his estate, died with him. President John F. Kennedy – together with his brother, Robert Kennedy, the Attorney General – used the IRS to go after mobsters and similar types suspected of racketeering for possible tax evasion. But JFK soon expanded the scope of IRS investigation to include political enemies as well. In November 1961, President Kennedy turned to the IRS to challenge the tax-exempt status of “right-wing extremist groups,” as well as fundamentalist Christian ministers who had been openly opposed him for president because of his religion – a Roman Catholic. In a move not made public at the time, the Kennedy administration established an “Ideological Organizations Audit project” within the IRS, which targeted conservative groups, such as the John Birch Society. In November, the IRS launched audits of 22 “extremist organizations,” several of which lost their tax-exempt status, jeopardizing their fundraising. President Richard Nixon used the IRS as his own special gestapo agency. In effect, he re-directed Kennedy’s “Audit Project” to target left-wing groups. After he took office, his administration quickly created a Special Services Staff to mastermind what a memo called “all IRS activities involving ideological, militant, subversive, radical, and similar type organizations.” More than 10,000 individuals and groups were targeted for tax audits because of their political activism or slant between 1969 and 1973, including Nobel Laureate Linus Pauling (a left-wing critic of the Vietnam War) and the far-right John Birch Society. Nixon went after quite a wide range of political “enemy” groups, including anti-war groups (and the churches and other nonprofits that sheltered them), civil rights groups, reporters, and prominent Democrats. Additionally, the IRS was also given Nixon’s enemies list to, in the words of White House counsel John Dean, “use the available federal machinery to screw our political enemies.” Luckily, as a result of Watergate investigation (1973-4) and, especially, the disclosure of White House tapes, many of these unethical, unauthorized activities became public. The tapes provided a direct line of accountability from the IRS to the Oval Office that was often missing in previous administrations. They provide unambiguous evidence that Nixon used his power to direct aides to use the IRS to get back at political enemies. In a taped conversation on Sept. 8, 1971, Nixon told his chief domestic policy adviser, John Ehrlichman, to direct the IRS to audit potential Democratic rivals, including Sens. Hubert Humphrey of Minnesota, Edward Kennedy of Massachusetts, and Edmund Muskie of Maine. “Are we going after their tax returns? I … you know what I mean? There’s a lot of gold in them thar hills,” Nixon said. Under Clinton, the IRS was notoriously used as a tool to harass and intimidate. As was done by the administrations before him, the IRS was tasked with auditing a wide range of organizations that were viewed as hostile to the White House agenda. These included leading conservative publications, think tanks, and interest groups, among them The American Spectator, the National Review, the Heritage Foundation, the National Rifle Association, the National Center for Public Policy Research, the American Policy Center, American Cause, Citizens for Honest Government, Citizens Against Government Waste, Progress and Freedom Foundation, Landmark Legal Foundation, and Concerned Women for America. IRS official Paul Breslan knew exactly what the organization was doing. And a memo was used to tie Clinton himself to the audits. In the memo, White House Associate Counsel William Kennedy is documented as saying that the IRS is “on top of it.” In a speech on the House floor in 1996, Rep. John Mica (R-FL) said: “The fact is, the White House in this case misused the IRS and the FBI in an incredible abuse of power.” During the Clinton years, conservatives used to joke back that if Clinton didn’t have the IRS audit you, then you weren’t a real conservative. And now we see that the Obama administration has used the IRS to single out and target Tea Party, patriot groups, and other conservative organizations in their applications for tax-exempt status. According to a House probe, for the past 18 months (although it is likely the abuse has gone back as far as 2010), the IRS used “inappropriate criteria” – that is, focusing on groups with conservative-sounding words or phrases in their name, such as “Tea Party,” or “patriot – for scrutiny in their tax-exemption applications. As if that wasn’t bad enough, IRS agents also misappropriated the information contained in the confidential tax returns of conservative organizations and donors to GOP candidates (such as Mitt Romney) and leaked it to political enemies, in violation of federal law. John Adams once said: “We are a government of laws, not men.” Somewhere along the way, we’ve lost this fundamental truth. Also, somewhere along the way, the government has gotten off track in its goal of enlarging its powers and responsibilities. Of course, government couldn’t grow without the financial resources to do so. First it created the Federal Reserve to print the money and provide the loans it needed and then came the unlimited ability to tax citizens. There is a fine line between taxation and plunder. What isn’t such a fine line is that which is constitutional and what is unconstitutional. The Founders wrote our Constitution for the common man to understand. The average citizen was meant to read the Constitution and easily understand the bounds of government and its extent in his life. Again, transparency and simplicity are what is expected in a free society. Our Founders never expected the Constitution to be interpreted according to the whims and views of nine justices who too often have rejected the principles on which the nation was founded and have lost the ability “to see the forest for the trees” (meaning, they’ve lost the ability to see the most relevant points because they’re too busy focusing on smaller issues that take their eye off the big picture). The pressure of necessity (the need for government to take control of matters) has often clouded their view of what government was instituted for. Our government is bloated because it is funding too projects not authorized by the Constitution. In addition to its constitutional responsibilities, Congress is taxing for unconstitutional purposes as well. State grants (to coerce financially what it can’t require constitutionally) is an example. And this brings us to the current state of taxation, which amounts to plunder – legal plunder. Socialism recognizes that there are some people who, by their human nature and ability to develop their gifts, will be producers and there are those who will reject the opportunities to invest in themselves and resist the need to become producers. And so, for the common good comes the policy that states: “From each according to his ability, to each according to his need.” (the slogan popularized by Karl Marx in his 1875 Critique of the Gotha Program). In other words, only in the situation where the government organizes and arranges for the abundance of goods and services will there be enough to satisfy everyone’s needs. That’s the Marxist view. But this is the United States. We don’t think like that. That’s not in the lifeblood that courses through our veins. We are not Russia or Germany or any other nation that looks at people only in the collective sense. People are individuals first, with individual God-given rights to be individuals. That’s why the time has come for the legalized plunder to stop and for the innovative, liberty-minded people of the United States to come up with a viable solution for government revenue that doesn’t imperil individual freedom and prosperity. The Fair Tax – a national consumption tax – is one such plan. As it is so true about history, the past holds the answers to the future. That’s why we have the saying: “Those who fail to learn from history are doomed to repeat it.” Frederic Bestiat (1801-1850), who, like our Founders, saw the wisdom and inherent freedom in a government that was: (i) designed primarily to protect the lives, liberty, and private property of citizens from theft or aggression and the designs of evil-intentioned individuals (and from government itself) and (ii) sufficiently limited in its ability to coerce the People in their exercise of freedom as well as in their economic pursuits, wrote that men will naturally rebel against an injustice when they find that they have sufficiently become its victims. It is also human nature, he explained. This was the case of the Boston Tea Party, various other displays of civil disobedience, and eventually, the American Revolution itself. (He also suggested a second course – instead of a rebellion against the plunder, men will capitulate on a large scale, refuse to work, invent, educate, etc and demand government provide for everyone). Bestiat wrote that burdensome government restrictions, legalized plunder, indentured servitude, and slavery find defenders only among those who profit from them. Unfortunately, as almost 100 years of American history has shown, defenders will also be found among those who suffer from them. The question is whether the time has come for another simple act of civil disobedience — the petition and protest of honest, hard-working Americans against our current unfair system of taxation. “In our time, many seem to think ‘the Declaration’ was penned to proclaim eternal verities about the human condition — a poetic tribute to ‘life, liberty and the pursuit of happiness’ — as if it were a collection of fine words about high-minded ideals. No! It was a rebellion against bad governance, against political arrogance, against oppressive laws, against restriction, constraint, and imposition without representation.” (Scott Ott, of PJ Media) We call it ‘The Declaration,’ as if it merely declares our moral purpose. But that’s not the object. Its purpose is to provide the blueprint for true and everlasting human liberty… for true ‘Independence.’ ”The members of the Second Continental Congress did not expect to forfeit their lives, fortunes, and sacred honor for stating the obvious about the ‘laws of nature and of nature’s God.’ Their necks ripened for the noose because they altered, abolished, and threw off the yoke of their government.” (Ott) They desired to be absolved of any allegiance to a government that did not respect their rights. They counted all as loss to obtain freedom; to be absolved of allegiance to their government, to dissolve all political connections between themselves and the state which they had always referred to as their own. The Declaration of Independence offers a daily reminder of the exhaustive reasons for holding government accountable and rejecting it when it becomes corrupt, abusive, and oppressive… to preserve Liberty. The Declaration would clearly instruct us to move (peacefully) to abolish the federal income tax and to do away with the IRS. The progressive income tax was imposed on the American people in 1913 following the ratification of the Sixteenth Amendment, which states: “The Congress shall have power to lay and collect taxes on incomes, from whatever source derived, without apportionment among the several states, and without regard to any census or enumeration.” It was never intended to be a primary source of funding for government. It was merely intended to make up for revenue losses from tariffs, which were the primary source of funding for the constitutional. – The IRS conducted mass-scale audits of adoptive families, auditing 100,000 in 2011 alone – simply because they adopted a child. Resolved, that the ________________________ (group name) believes the time has come to reform the tax code and by extension, abolish the Internal Revenue Service. Bill Benson’s findings, published in “The Law That Never Was,” make a convincing case that the 16th amendment was not legally ratified and that Secretary of State Philander Knox was not merely in error, but committed fraud when he declared it ratified in February 1913. What follows is a summary of some of the major findings for many of the states, showing that their ratifications were not legal and should not have been counted. Secretary Knox had received responses from 42 states when he declared the 16th amendment ratified on February 25, 1913, just a few days before leaving office to make way for the administration of Woodrow Wilson. Knox acknowledged that four of those states (Utah, Conn, R.I. and N.H.) had rejected it, and he counted 38 states as having approved it. We will now examine some of the key evidence Bill Benson found regarding the approval of the amendment in many of those states. Attorneys who have studied the subject have agreed that Kentucky and Oklahoma should not have been counted as approvals by Philander Knox, and, moreover, if any state could be shown to have violated its own state constitution or laws in its approval process, then that state’s approval would have to be thrown out. That gets us past the “presumptive conclusion” argument, which says that the actions of an executive official cannot be judged by a court, and admits that Knox could be wrong. The state constitution of Tennessee prohibited the state legislature from acting on any proposed amendment to the U.S. Constitution sent by Congress until after the next election of state legislators. The intent, of course, is to give the proposed amendment a chance to become an issue in the state legislative elections so that the people can have a voice in determining the outcome. It also provides a cooling off period to reduce the tendency to approve an idea just because it happens to be the moment’s trend. You’ve probably already guessed that the Tennessee legislature did not hold off on voting for the amendment until after the next election, and you’d be right – they didn’t; hence, they acted upon it illegally before they were authorized to do so. They also violated their own state constitution by failing to read the resolution on three different days as prescribed by Article II, Section 18. These state constitutional violations make their approval of the amendment null and void. Their approval is and was invalid, and it brings the number of approving states down to 35, one less than required for ratification. When Secretary Knox transmitted the proposed amendment to the states, official certified and sealed copies were sent. Likewise, when state results were returned to Knox, it was required that the documents, including the resolution that was actually approved, be properly certified, signed, and sealed by the appropriate official(s). This is no more than any ordinary citizen has to do in filing any legal document, so that it’s authenticity is assured; otherwise it is not acceptable and is meaningless. How much more important it is to authenticate a constitutional amendment! Yet a number of states did not do this, returning uncertified, unsigned, and/or unsealed copies, and did not rectify their negligence even after being reminded and warned by Knox. The most egregious offenders were Ohio, California, Arkansas, Mississippi, and Minnesota – which did not send any copy at all, so Knox could not have known what they even voted on! Since four of these states were already disqualified above, California is now subtracted from the list of valid approvals, reducing it to 20. These last five states, along with Kentucky and Oklahoma, have particularly strong implications with regard to the fraud charge against Knox, in that he cannot be excused for not knowing they shouldn’t have been counted. Why was he in such a hurry? Why did he not demand that they send proper documentation? They never did. *** Bill Benson wrote a book in 1985 – The Law That Never Was. Summary: The authority of the federal government to collect its income tax depends upon the 16th Amendment to the U.S. Constitution, the federal income tax amendment, which was allegedly ratified in 1913. After a year of extensive research, Bill Benson discovered that the 16th Amendment was not ratified by the required 3/4 of the states, but nevertheless Secretary of State Philander Knox fraudulently announced ratification. Article V of the U.S. Constitution defines the ratification process and requires three-fourths of the states to ratify any amendment proposed by Congress. There were forty-eight states in the American Union in 1913, meaning that affirmative action of thirty-six was necessary for ratification. In February 1913, Secretary of State Philander Knox proclaimed that thirty-eight had ratified the Amendment. In 1984 Bill Benson began a research project, never before performed, to investigate the process of ratification of the 16th Amendment. After traveling to the capitols of the New England states and reviewing the journals of the state legislative bodies, he saw that many states had not ratified. He continued his research at the National Archives in Washington, D.C.; it was here that Bill found his Golden Key. This damning piece of evidence is a sixteen-page memorandum from the Solicitor of the Department of State, among whose duties is the provision of legal opinions for the Secretary of State. In this memorandum, the Solicitor lists the many errors he found in the ratification process. California: The legislature never recorded any vote on any proposal to adopt the amendment proposed by Congress. Kentucky: The Senate voted on the resolution, but rejected it by a vote of nine in favor and twenty-two opposed. Minnesota: The State sent nothing to the Secretary of State in Washington. Oklahoma: The Senate amended the language of the 16th Amendment to have a precisely opposite meaning. When his project was finished at the end of 1984, Bill had visited the capitol of every state from 1913 and knew that not a single one had actually and legally ratified the proposal to amend the U.S. Constitution. Thirty-three states engaged in the unauthorized activity of altering the language of an amendment proposed by Congress, a power that the states do not possess. Since thirty-six states were needed for ratification, the failure of thirteen to ratify was fatal to the Amendment. This occurs within the major (first three) defects tabulated in Defects in Ratification of the 16th Amendment. Even if we were to ignore defects of spelling, capitalization and punctuation, we would still have only two states which successfully ratified. III. WHERE DO OUR FEDERAL TAX DOLLARS GO? The federal government collects taxes to finance various public services. As policymakers and citizens weigh key decisions about revenues and expenditures, it is instructive to examine what the government does with the money it collects. Defense and international security assistance: In 2012, 19 percent of the budget, or $689 billion, paid for defense and security-related international activities. The bulk of the spending in this category reflects the underlying costs of the Department of Defense. The total also includes the cost of supporting operations in Afghanistan and other related activities, described as Overseas Contingency Operations in the budget, funding for which totaled $127 billion in 2012. Social Security: Another 22 percent of the budget, or $773 billion, paid for Social Security, which provided monthly retirement benefits averaging $1,262 to 36.7 million retired workers in December 2012. Social Security also provided benefits to 2.9 million spouses and children of retired workers, 6.3 million surviving children and spouses of deceased workers, and 10.9 million disabled workers and their eligible dependents in December 2012. Medicare, Medicaid, and CHIP: Three health insurance programs — Medicare, Medicaid, and the Children’s Health Insurance Program (CHIP) — together accounted for 21 percent of the budget in 2012, or $732 billion. Nearly two-thirds of this amount, or $472 billion, went to Medicare, which provides health coverage to around 48 million people who are over the age of 65 or have disabilities. The remainder of this category funds Medicaid and CHIP, which in a typical month in 2012 provided health care or long-term care to about 60 million low-income children, parents, elderly people, and people with disabilities. Both Medicaid and CHIP require matching payments from the states. Safety net programs: About 12 percent of the federal budget in 2012, or $411 billion, supported programs that provide aid (other than health insurance or Social Security benefits) to individuals and families facing hardship. Spending on safety net programs declined in both nominal and real terms between 2011 and 2012 as the economy continued to improve. These programs include: the refundable portions of the Earned Income Tax Credit and Child Tax Credit, which assist low- and moderate-income working families through the tax code; programs that provide cash payments to eligible individuals or households, including Supplemental Security Income for the elderly or disabled poor and unemployment insurance; various forms of in-kind assistance for low-income families and individuals, including SNAP (food stamps), school meals, low-income housing assistance, child care assistance, and assistance in meeting home energy bills; and various other programs such as those that aid abused and neglected children. Such programs keep millions of people out of poverty each year. A CBPP analysis shows that government safety net programs kept some 25 million people out of poverty in 2010. Without any government income assistance, either from safety net programs or other income supports like Social Security, the poverty rate would have been 28.6 percent in 2010, nearly double the actual 15.5 percent. Interest on the national debt: The federal government must make regular interest payments on the money it has borrowed to finance past deficits — that is, on the national debt held by the public, which reached $11 trillion by the end of fiscal year 2012. In 2012, these interest payments claimed $220 billion, or about 6 percent of the budget. As the chart above shows, the remaining fifth of federal spending goes to support a wide variety of other public services. These include providing health care and other benefits to veterans and retirement benefits to retired federal employees, assuring safe food and drugs, protecting the environment, and investing in education, scientific and medical research, and basic infrastructure such as roads, bridges, and airports. A very small slice — about 1 percent of the total budget — goes to non-security programs that operate internationally, including programs that provide humanitarian aid. This entry was posted in Uncategorized and tagged 16th Amendment, 1913, abolish the income tax, abolish the iRS, Abraham Lincoln, apportionment of taxes, Article I Section 8, Article I Section 9, audit, Bailey Bill, Bestiat, Bill Benson, Civil War, Constitution, entitlement, exemptions, Fair Tax, FDR, federal income tax, Gestapo, gradual, graduated, income tax, Internal Revenue Service, IRS, IRS audit, IRS scandal, James Madison, JFK, legal plunder, legalized plunder, Lincoln, national sales tax, Neil Boortz, Nelson Aldrich, Nixon, Obama, plunder, progressive, progressive income tax, redistribution of wealth, resolution, revenue, Revenue Act of 1862, Sereno Payne, Sixteenth amendment, Soak the Rich, Tariff Act of 1909, Tax Code, tax reform, taxation, Teddy Roosevelt, Thomas Jefferson, Underwood, Underwood Bill, wealth redistribution, welfare., William Howard Taft, Woodrow Wilson. Bookmark the permalink. 4 Responses to Time for Another Tax Revolution: Abolish the Federal Income Tax and the IRS With It! The income tax is actually not legal. Diane Rufino, if all working U.S. citizens rose up and demanded to see the law that requires people to pay an income tax, I bet a lot of people charged with tax evasion would be released from prison. Also, according to Aaron Russo, he asked an IRS agent to show him the law, which the agent did not agree to. Look, if the income tax was legally ratified, if the U.S. Supreme Court upheld it, if there was a statuette that made any person liable, then show us! Otherwise, release all people who were allegedly found guilty of tax evasion if there was no law. Our Founding Fathers found direct taxes to be abhorrent. It was not until 1913, when the 16th Amendment was illegitimately ratified, that made citizens liable to pay it. Up until 1913, everyone kept every penny they earned, yet government was still able to function. Even if the income tax was legal, the rate should be the same across the board, excluding poor people from paying it.